Is it Friday already? 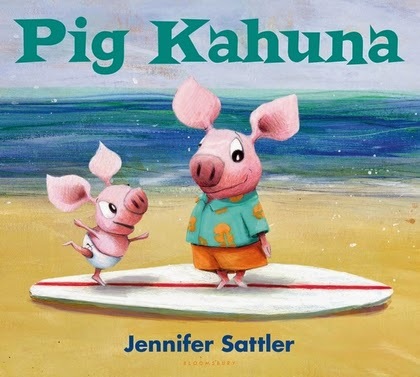 I had the best week participating in Donalyn Miller's #BookaDay Challenge, eating dinner with Mike Curato, catching up on my favorite TV shows, and re-reading all of Jennifer Sattler's books. Speaking of Jennifer, she dropped by Watch. Connect. Read. to chat with me about pirates, pigs, pugs, and picture books. I wrote the words in red, and she wrote the words in black. Thank you, Jennifer! The brothers are back in Pig Kahuna Pirates. A story about being grumpy…cause we all get grumpy, and would make pretty good pirates! I was in a store one day and two kids (unrelated ) were throwing temper tantrums. Their grown ups were freaking out! Yelling, getting really angry, frustrated…throwing temper tantrums themselves. I wanted to make a book that reminded kids that they don’t have to be perfect angels all of the time. Everyone gets grumpy, grownups just hide it better, and call it something else. And for the siblings, they don’t have to take on the responsibility of making them happy again. The illustrations for Pig Kahuna Pirates were done in acrylic and then finished digitally with photoshop. I used to think that was cheating, until I realized that it’s actually a more natural process then the constant painting, scanning, cutting, scanning, colored pencils, scanning… by the time I went through all of those processes I was losing track of the whole picture. The Cintiq ( from Wacom ) changed my life! Pugs are crazy looking dogs! A lot of people ask me if I have a pug. I don’t. We have a Saint Bernard/Bassett Hound mix. Yup, you read that right. 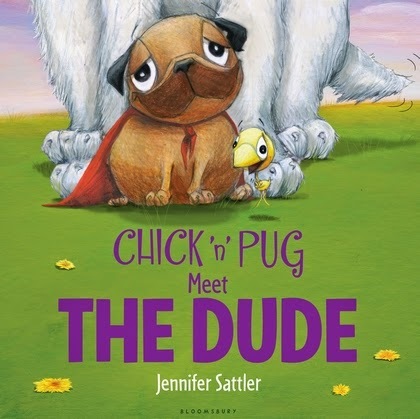 Very silly.When I started drawing pugs for Chick ‘n’ Pug, I remember thinking “ that can’t be right. They’re eyes are there? On either side of their nose? Way up there?” They are SO much fun to draw! If you would like a personalized, downloadable bookplate just go to my website,jennifersattler.com. I love that I can make a gift of a book more personal even though I can’t visit every bookstore! Just let me know what you’d like me to write, and to whom. I’ll make one and send it to you.You can download it, print it on sticky paper or photo paper and stick it right in your book. School libraries are absolutely wonderful. I have been to so many libraries over the past several years. My favorite is when I’m talking to a librarian and a kid will come right up to them and ask about an author, or subject. The librarian always knows the perfect suggestion. It’s fantastic to watch. Reading is (was) my first passion. When I was little I would sit in my closet and read for hours. It was my own little fantasy world. It has been essential to me ever since. 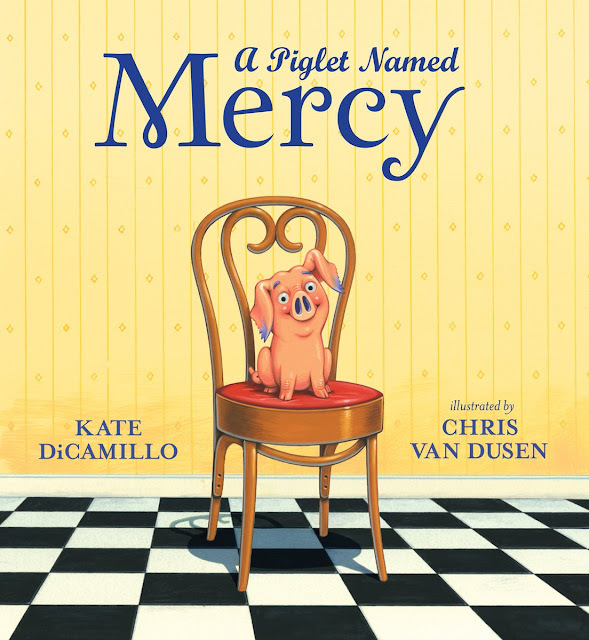 Picture books are the best of both worlds, images and words. One of my favorite things is looking at books from my childhood. I go RIGHT back to that age. Every detail comes back to me. It’s a direct link to my childhood. I hope my books can do that for someone some day. I started out as a “ fine artist”. I have an MFA in painting and I spent too many years making paintings to hang on the wall, and suppressing my inner goofball. To make images and create characters that make kids laugh? Well, that’s the most amazing job in the whole wide world. Mr. Schu, you should have asked me what I’m afraid of. And I would’ve told you rodents. 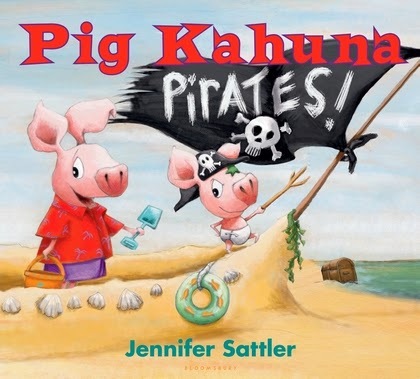 I am giving away a copy of Pig Kahuna Pirates! 1. It will run from 6/13 to 11:59 p.m. on 6/15. Borrow Pig Kahuna Pirates! from your school or public library. Whenever possible, please support independent bookshops.